The Factory Sale Social Media draw is open to residents of the UK mainland aged 18 and over only. Vax Ltd reserves all rights to request proof of eligibility at the time of notification. Only entries received between noon (GMT) Thursday 6th June 2013 and 5pm (GMT) Monday 10th June 2013 will be entered into the draw. Retweet the following sentence in its entirety: Vax has a “Factory” clearance sale. 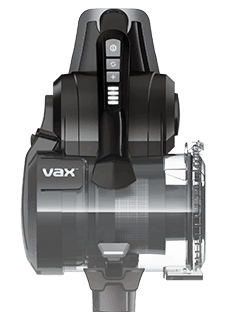 Gain entry to vaxsale.co.uk with password factorysale13 and get up to 80% off vacuum cleaners, carpet washers, steam machines and solutions. www.vaxsale.co.uk. If both the above two actions are not completed, you will not be eligible. Once the entry period has closed, winners will be selected at random from the qualifying entries. There is one first prize of Vax Dual V (V-124) Carpet Cleaner to be won on Facebook or Twitter. The winners will be notified via Twitter and Facebook and must supply contact details and a valid postal address so that the prize can be delivered. The prize will be dispatched by Vax Ltd within a month of the draw. The decision of Vax Ltd to allocate the prizes shall be final and legally binding. Except as otherwise required by applicable law, Vax Ltd is not responsible for any loss or damage associated with you entering into these terms and conditions, this competition or the provision or otherwise of any aspect of any prize or any act or omission of any other person or party, and all warranties, conditions and representations (of any kind) not expressly set out in these terms and conditions are hereby excluded (except in the case of fraud). Participation in this competition is deemed to be acceptance of these terms and conditions.